Then we changed business models in 2013. We started making revenue from our vendors instead. We became an online shop for benefits. Since we did this, we reduced our reliance on the monthly retainer fee. We became a volume-driven company. More employees, more people buying benefits our store – more revenue. At a certain threshold, we could give our services for free. I figured, EVERYONE would be ecstatic, right? The big companies would get a chance to radically improve their benefits system for free. The smaller-to-medium sized firms would get a great, great discount! Everyone happy right? When I started selling this with the new pricing scheme, I would notice the executives in the smaller-to-midsize firms would wince a bit at their price range. Wincing?! To prices this much cheaper?! Why?! They framed the lower pricing with the FREE price offered to larger firms. So no matter how gargantuan my discount was, it would still pale in comparison to FREE. So the next time I presented to a sub-500 man firm, I just REMOVED the FREE pricing detail offered to larger firms (it wouldn’t apply to them anyway). Instead, I put the new prices side by side with the old prices, all on one side. Same discount, vastly different reaction. The discount was MUCH more appreciated. HOW you frame your price when you sell your wares will be VASTLY important. 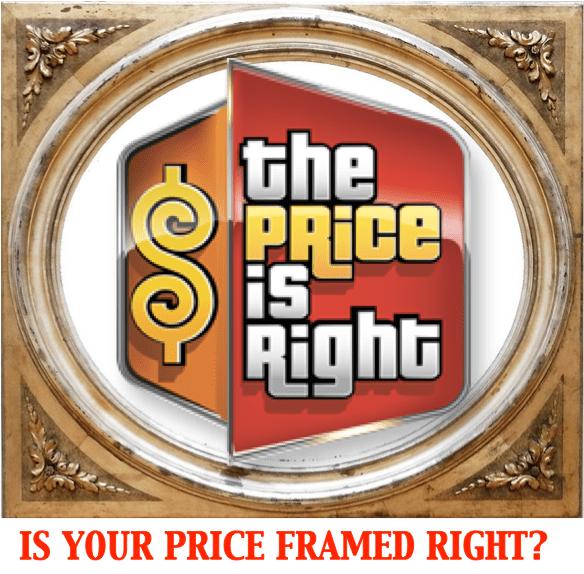 It’s good to note – how are you framing your price right now? Pay attention to the details with which you show your prices. The right price, seen with the wrong frame, just isn’t right. I can’t quite get passed the “500 and upwards – FREE” thing. Why? I never realized pricing could get tricky as this. Achieving a win-win pricing situation seemed like an art. The psychological effects of numbers plus effective strategic presentation, very nice combo indeed!